Tottenham captain Hugo Lloris insists his side are ready to take the new year by storm after bouncing back from their mauling by Manchester City in style. Keeper Lloris was helpless as four City goals flew past him at the Etihad Stadium two weeks ago but believes subsequent performances have proven the character of the team. Spurs cruised through a potentially tricky trip to Turf Moor by beating Burnley 3-0, and followed it up with an emphatic 5-2 win over Southampton on Boxing Day. 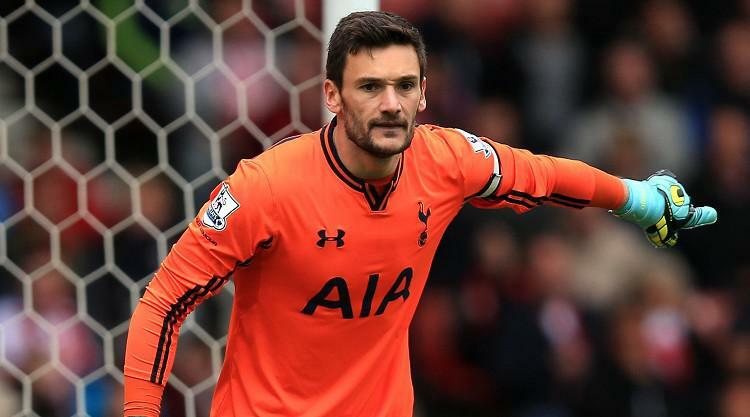 Ahead of Tuesday's trip to struggling Swansea, Lloris told his club's official website: "This team has character. We've showed it already in the past and we are showing it at the moment. "We are looking forward first to Swansea and then West Ham. The important thing now is to keep on winning and to keep the confidence high inside our minds. "It was so important to continue our momentum against Southampton after playing so well at Burnley. "Now we have to be ready to start again with a busy week but as I said, we're confident and looking forward to it." Spurs could be boosted by the availability of Harry Kane for the trip to south Wales despite the striker missing training on Friday with a cold. Victor Wanyama could make his first appearance since August as he steps up his return after long-term knee trouble. His side's recent return to form has inevitably left boss Mauricio Pochettino facing questions over whether they could battle for silverware this season. While the title appears out of the question, Spurs will kick off another trophy quest at the weekend when they face AFC Wimbledon in the FA Cup third round. Quizzed on his side's trophy chances, Pochettino responded: "Dreams, always - it's good to dream but of course if we want to win some trophies we need to beat Swansea, West Ham and then Wimbledon in the FA Cup.